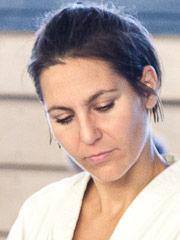 "Where passion meets research and enthusiasm, there we find Aikido Oberursel, lovingly coordinated by Klaus Messlinger. A pulsating dojo with a strong desire to practice, exchange, and accompany all practitioners along the way of aiki. Great job, lovely people, and a comfortable and spacious location." "The friendly atmosphere of Aikido Oberursel coupled with strong instructional links across Germany and the rest of Europe, gives students a great opportunity to learn the Japanese art of aikido. Aikido: the way of harmonising with energy – just what the world needs right now!" 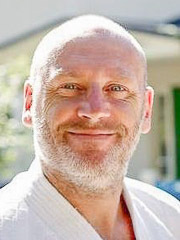 "Aikido Oberursel - the first thing that springs to my mind is the enthusiasm of Klaus Messlinger who with a lot of passion and in a rather short time managed to interest a crowd of new people in the wonderful Japanese martial art. Aikido's founder O-Sensei Ueshiba Morihei said that 'aikido is a way of peace, a way to reconcile the world', and the Oberursel dojo in this sense is a place of connecting, meeting and exchanging in a peaceful way." "When you look at a dojo, before the instructor you should look at the students. 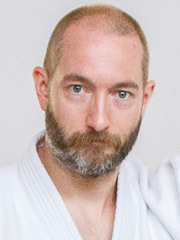 Klaus has manged to instill his enthusiasm for Aikido in his students. He provides a friendly and inviting environment that allows them to grow. It is a testament to his teaching how much improvement I have seen in his students." 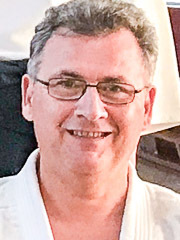 "Connection, Exchange, Development – Klaus Messlinger chose a great motto for his aikido dojo in Oberursel. A motto that describes the deep effects of aikido practice. Klaus walks his talk, he is a mover and shaker. He moves people's hearts, builds relationships, creates space for the community to connect and practise together and make friends. 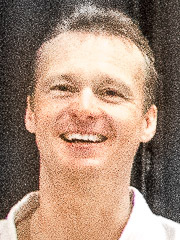 He tirelessly reaches out to teachers from other parts of Germany and Europe, invites them to teach seminars, and thus creates a great variety of experiences for his dojo members. He offers his students a solid tuition that goes beyond the purely technical aspects of the art. 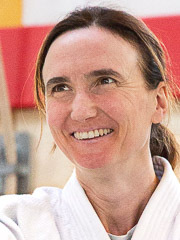 This is a great enrichment of the aikido scene in the Frankfurt neighbourhood." "A dojo is a place for encounters - with yourself and others. The most important thing is the connection. Aikido Oberursel is such a place, and therefore I am always looking forward to next visit. 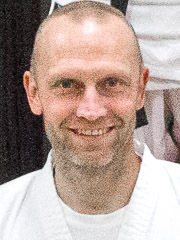 In just a very short time, Klaus Messlinger and the enthusiastic aikidokas from Oberursel have created one of the most active aikido schools in the whole Rhein-Main area. Our joint keikos attract aikidokas from up to 8 different dojos and various styles. In the openness and appreciative exchange you can sense true 'aikido-no-kami' (Japanese for 'aikido spirit'). I am very much looking forward to our next joint keiko!" 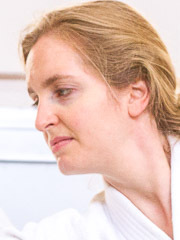 "Aikido Oberursel is a place of overwhelming warmth and enthusiasm for aikido practice. 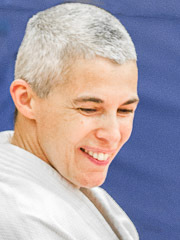 The atmosphere on the tatami clearly reflects how much love for the detail the teacher is conveying to his students. 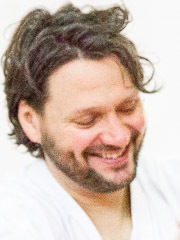 It is no coincidence that this young dojo has grown so fast in such a short time: Klaus is one of the best-organised, enthusiastic and open-minded aikido teachers that I have encountered so far. I am not surprised that this attracted a group of likely-minded and congenial people. 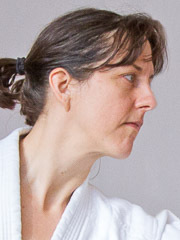 It is a dojo that I can recommend to anybody interested in aikido practice." "Aikido Oberursel is the embodiment of some of the best qualities that can be found in any dojo. The dojo is warm and welcoming, with hard-working students and diligent teachers who genuinely care about the quality of their training. 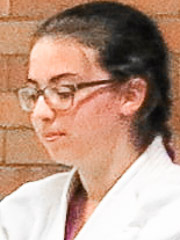 More than this however, by reaching out into the community the Oberursel dojo is taking the Aikido principles of connection and harmony in the wider world. They are a great example to us all in the Aikido family." "Aikido Oberursel is a young and active dojo that managed to build a really nice and enthusiastic crowd in little to no time, while simultaneously creating bonds across the aikido community. Kudos!" "Aikido Oberursel is a dojo that I truly enjoy visiting. I pay my respect to Klaus's initiative to create a regional network that motivates people to practise together - a veritable aiki exchange. The open-minded approach and welcoming atmosphere, enthusiastic students and diverse visitors from other dojos make it a place to return to again and again." 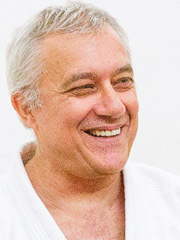 "To me, Aikido Oberursel is connected to many positive emotions and experiences. Klaus is teaching the values of the traditional Japanese martial art aikido in a way that fits in our times. This goes beyond the motoric experience, it is a research of the unexpected in the movement, simultaneously a question and an answer. No matter how complex the task or how different the people involved, at Oberursel they will find the right environment to discover and to learn on many different levels. For this, and for the friendship with many high-ranking aikido teachers it is worth coming back here. And for sharing a laugh!" 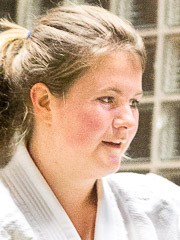 "Aikido has become a meaningful and essential component of my everyday life. Coming from Boston to work in Germany, it was difficult to leave my home dojo. Scouring the Frankfurt area for Aikido, I was fortunate to stumble upon Klaus's small but vibrant community of dedicated Aikido practitioners. I felt immediately welcome by Klaus and his members. Aikido Oberusel has been my Aikido home away from home. I couldn't be more grateful. And as I return to Boston, I keep the members in my heart, and look forward to the day we meet again on the mat. " 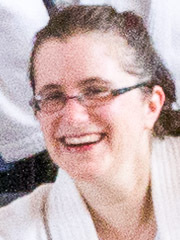 "For me, aikido is a way to research the inner and outer world, to connect with life. I find it very helpful to have a welcoming space that offers respect and is open for discoveries. I feel appreciated in my home dojo where I first met Klaus, and I very much like practising in Oberursel, too. It is great being a part of this group. Thank you!" 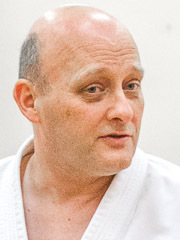 "Having practised karate for 40 years I came across Aikido Oberursel by chance. In a very short time, Klaus got me hooked on aikido. 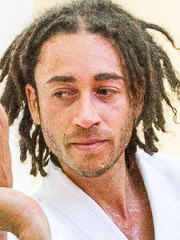 It is astonishing how different these two martial arts are, even though they are from the same cultural background: a friend of mine called this the 'tension vs relaxation' focus." "Klaus, your initiative is unmatched! You are putting so much effort into the dojo, and at the same time you seem so relaxed." 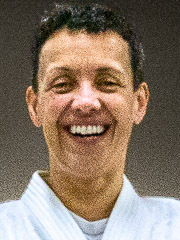 "With more than 30 years of experience in Asian martial arts - mainly taekwondo - I joined Aikido Oberursel. It is the people, participants and teachers, who make every class and every seminar a great experience. To me personally, aikido offers plenty of research topics for the years to come, both physically and mentally." "I was looking for a compensatory activity when I found Aikido Oberursel. Aikido fascinated me right from the start! The training is demanding, and I always feel wonderfully relaxed afterwards." 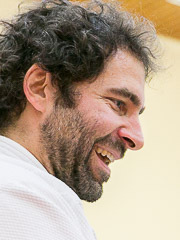 "Aikido Oberursel is a welcoming place for late beginners like myself. The fascinating martial art of aikido develops physical and mental skills and is also a lot of fun. 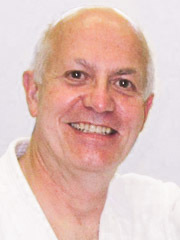 Klaus' personal supervision and support and the many great fellow practitioners make it a worthwhile pastime." "Aikido is making my life so much richer, and the classes with Klaus simply rock." 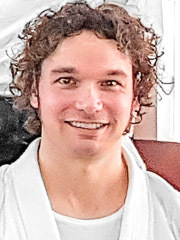 "What I like about aikido at the Oberursel dojo ist the mixture between the physical and the mental exercise, technical challenges and creativity, and all this in a group of great people with a good sense of humour." 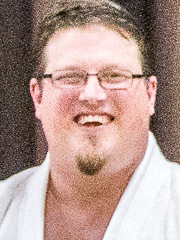 "Aikido made it easy for me to start exercising again after 10 years of abstinence. I felt fully integrated in the group after a very short time, and I can truly say that aikido is an art for everybody, regardless of age." "This is an open-minded and congenial group that I felt right at home with from the day of my first trial class. I enjoy every single lesson, and thanks to the great dedication of the trainers everybody gains something from the practice, whether advanced student or beginner. At Aikido Oberursel I feel on top of the world!" 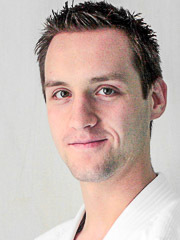 "Aikido Oberursel fascinated me right from the beginning with the warm welcome I received from all members. Though I was only a beginner everybody practised with me and made me feel right at home. My cautious attempt at finding the right kind of sports for me came up with a winner: Aikido!"